As much as I loved the ’80s, I can’t say the ’90s holds as much sentiment. I feel more affinity for the Aughts than I do the ’90s. That said, 1998 has proven to be rich with favorites, and I would consider it the pinnacle year in the decade. This list has gone through extensive revision from the original. Shakira, ¿Dónde Están Los Ladrones? Wendy and Lisa, Girl Bros.
A number of titles that held positions in the Favorite 10 switched places with ones in the extended list. 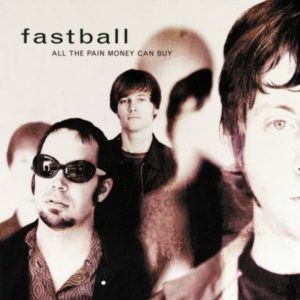 I didn’t give Fastball much credit 10 years ago because the album had been all over Austin at the time of its release. I got caught up in that hype, then dismissed it as such later. I was wrong. All the Pain Money Can Buy needs to be in the Favorite 10. For the Masses actually turned me into a Depeche Mode fan. Some of the covers on the tribute album rival the originals. In the case of “Shake the Disease” and “Everything Counts”, they straight up improve them. 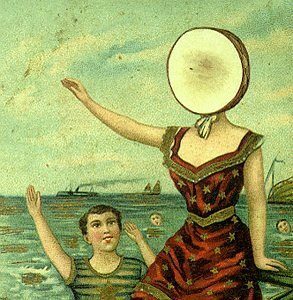 Madonna dominated the top position of this list for 10 years before Neutral Milk Hotel nudged her down a notch. SUPERCAR makes another revisionist ranking, pushing 8 1/2 Souvenirs off. Idlewild makes an appearance with a debut album that’s at times bratty and tuneful. It’s a mess compared to its follow-up, 1000 Broken Windows. But it’s a riveting mess. A few titles didn’t get included in the last round-up of new releases, and the release schedule for late autumn hasn’t quite yet coalesced. So this list is thinner than I prefer. 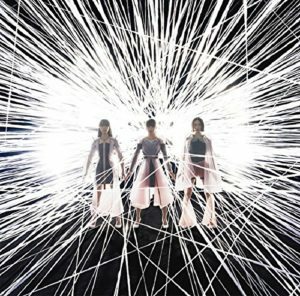 We probably reached peak Perfume two albums ago, if the cool reception to COSMIC EXPLORER is any indication. Imaginative videos can’t quite make up for the weakness of the last few singles, but will either stop me from placing a pre-order? Unlikely. How did I miss news about a new album by Dev Hynes? Oh, he announced it when my mom was in town and caught the flu, about a week before I would become briefly unemployed. Has it really been two years since the release of Freetown Sound? I’ve Got a Right to Cry is a classic album that has been relegated to bargain bins and thrift store shelves. The Owen Bradley-produced album probably did too good of a job calling up the ghost of Patsy Cline, whom Barnett has portrayed on stage. Barnett recently did a duet with Kenny Chesney, which … whatever. But I would still check out this album because I’ve Got a Right to Cry is an album that just doesn’t wear out, even after nearly two decades. It’s easy to marvel at how effortlessly it seems Jason Isbell spins his tales, but when he shreds on stage, it’s a sight to behold. Oh, hey, it looks like part of my wish is coming true — All the Pain Money Can Buy is headed for a vinyl release, albeit saddled with bonus material for its 20th anniversary, which I’m pretty sure I’ll be getting anyway. When you can find a second-hand vinyl copy of Suzanne Vega’s Solitutde Standing for $1, does the world really need a reissue that costs $30? Same goes for the soundtrack to Top Gun — was it really such a cultural watershed? Vinyl reissues make up just a sliver of recorded music sales, but it’s the only sector experiencing rapid growth. So if Please Hammer Don’t Hurt ‘Em by MC Hammer can get a reissue, then nothing should stop the following titles from showing up on wax. From what I can tell, none of these titles have ever been issued on vinyl. The stars aligned for Fastball on this album, but tensions in the band prevented them from capitalizing on that momentum. It still holds up well after nearly 20 years. You need look no further than Silver Bell to hear how well Flaming Red would sound on vinyl. Griffin doesn’t usually indulge her rock side, but like the title of this album, she burns when she does. This album was in constant rotation on my player back in 1994, and I didn’t care if it storm up the charts. It didn’t, so the likelihood for a reissue are slim. 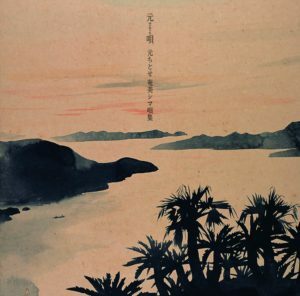 I’ve so far not been impressed by vinyl pressings of domestic Japanese albums. The market is still driven mostly by CDs, so Japanese labels don’t put much care into the sound of vinyl releases. In my fantasy world where they did, I would so want to hear Hajime Chitose’s voice on vinyl. All the ballads on this album should make remastering it for vinyl not insurmountable. Right? I’m surprised the only album in Hem’s discography available on vinyl is Departures and Farewells. I would have thought Rabbit Songs had been reissued a long time ago. The last Utada album to be issued on vinyl was DEEP RIVER. The masters for Duran Duran’s most underrated album is owned by the band, so the fate of a vinyl reissue is entirely up to them. Nick Rhodes has mentioned he would love to see it happen.